SAN DIEGO — Reserving a guest slip for the busy summer months has just become a bit easier with the launching of the Port of San Diego’s online slip reservation service. Boaters who plan to visit San Diego Bay can now go online and reserve a slip from a home computer or a smartphone. Previously, the only way to secure a guest slip in San Diego was by docking at the San Diego Harbor Police docks and walking into the office. Guest moorage was available only on a first-come, first-served basis — which left some boaters scrambling for a place to dock for the night. Now, through the new online service launched by the San Diego Harbor Police, boaters can see all the port-managed anchorages in the bay, check for availability up to two weeks in advance and pay for a slip reservation using a credit card. Some boaters are actually reserving a slip or an anchorage while they are on their boat heading toward San Diego — and they appreciate knowing that a space will be available for them upon their arrival, she added. Sandy Purdon, owner of the yacht Endurance, used the reservation over Memorial Day weekend to secure a spot in La Playa for his 55-foot vessel. Users simply go to the website — http://reservations.portofsandiego.org/boating/ — select an arrival and departure date, and select a boat size (10 to 65 feet in length.) A list of anchorages where openings are available will be provided, in addition to details about the anchorage. Guests can also opt to stay at the guest docks. The dock reservation system allows boaters to reserve slips up to 15 days in a 40-day period, and it allows up-front payment by credit card. The anchorage reservation system is free, but boaters are limited to reserving up to three permits per month. Each permit is for 72 hours. Boaters can reserve an anchorage up to one year in advance. 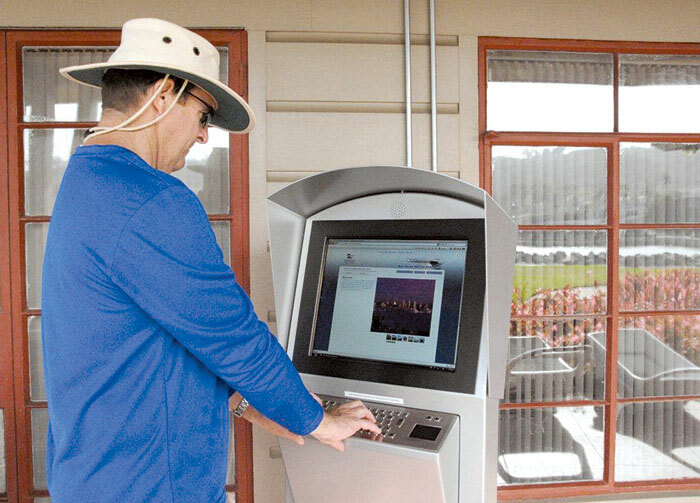 For boaters who don’t have Internet access, a self-service reservation kiosk is available at the southwest end of Shelter Island.